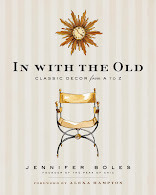 On Wednesday, September 24th from noon until 3pm, I will be signing copies of my book at Place on the Pointe in Albany, Georgia. You can pre-order copies of my book by calling (229) 883-8585. It's been forever since I've visited Albany, and I'm looking forward to my trip down there, especially since I keep hearing great things about Place on the Pointe. For more information, please visit the shop's Facebook page. 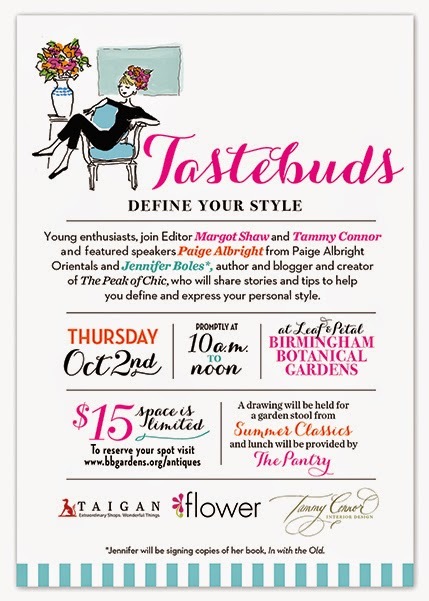 Then, on Thursday, October 2nd, I will be speaking alongside Paige Albright at Tastebuds: Define Your Style, part of the Antiques at the Gardens show at the Birmingham Botanical Gardens. 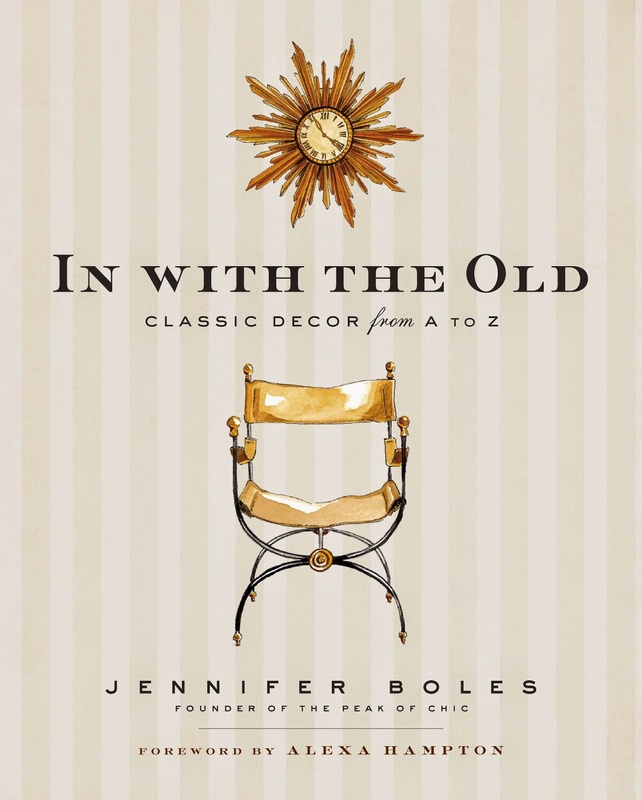 Sponsored by flower, Taigan, and Tammy Connor Interior Design, the talk will focus on personal style and classic design and is geared to those design enthusiasts who are under 40. Lunch will be provided, and I'll be signing books after the event. Other Antiques at the Gardens events include lectures by Mario Buatta and Shane Connolly. 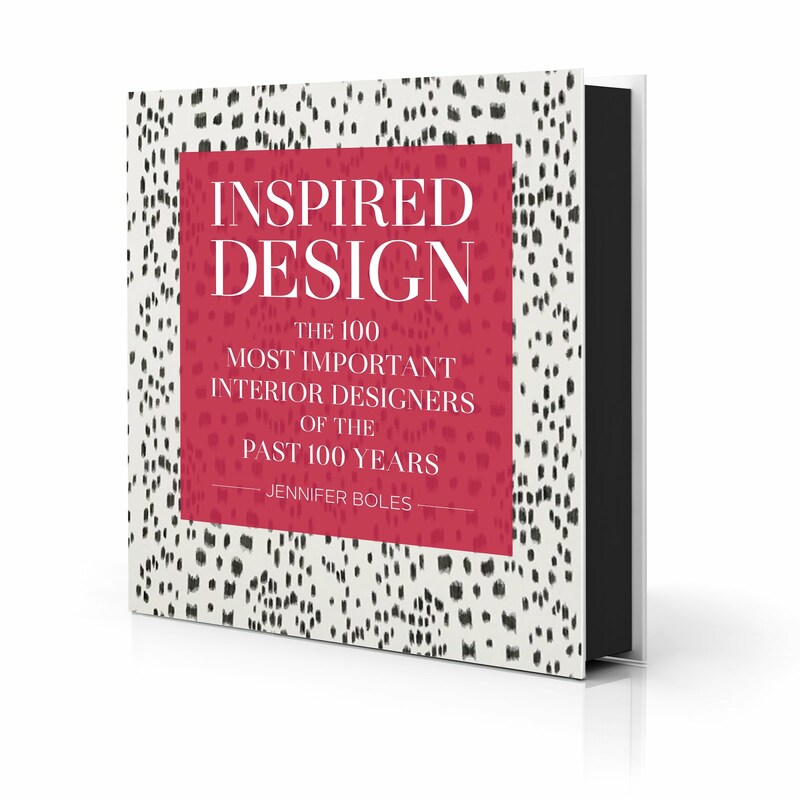 This year's Tastemakers, who are tasked with curating special areas on the show floor, include Christopher Spitzmiller, Kinsey Marable, Ware Porter, Henry Sprott Long & Associates, and many more. For more information or to purchase tickets to Tastebuds or other show events, please visit the Antiques at the Gardens website.